Looks like this will be the setup I will finally settle for. 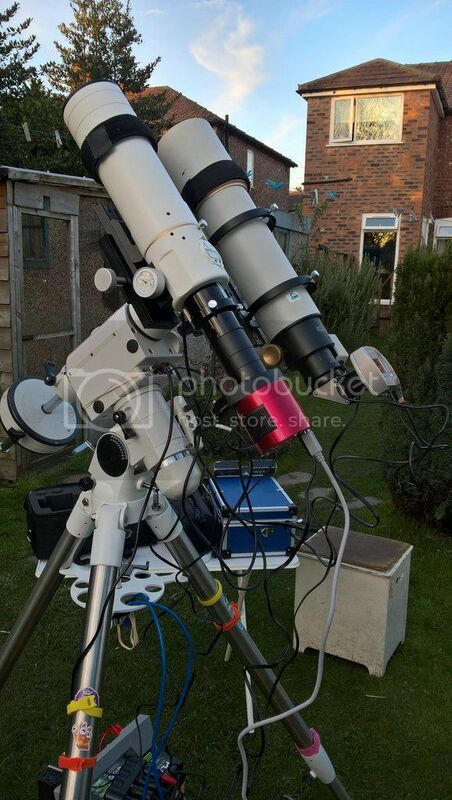 On the left Williams Optics Megrez 72ED with TS flattener hooked up to ZWO1600MM and ZWO manual filter wheel holding ZWO lrgb filters and Baader Ha filter. On the right Opticstar 90 hooked up to the trusty ( ) Synguider.